APPLIANCE REPAIR PROS - About Us! Tired of paying exorbitant fees to appliance repair companies to get your home back in working order? If so, we encourage you to get the help of Appliance Repair Pros as soon as possible. We know the frustration of paying your technician for a job that drags on way too long and then being forced to pay even worse fees if it stretches into overtime. With Appliance Repair Pros, that never needs to be one of your concerns. 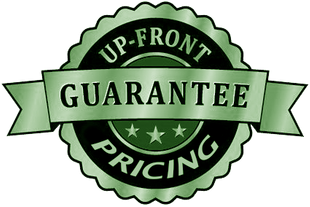 We are proud to offer flat rate, upfront pricing options. Instead of charging by the job, we charge you one flat rate for the job itself. In addition, we are upfront with how much a service will cost. Before we begin any work on your behalf, we will provide you with an accurate price quote. So... When an Appliance Repair Pros van pulls up in your driveway and your uniformed technician knocks at your door, rest assured he is factory trained and will treat you with respect and honesty! Appliance Repair Pros started in 2006 with one technician and a part-time person to answer the phone. Our motto was "Honesty and Fairness" from the beginning. Before our phone started ringing with our devoted customers, we began by working with extended home warranty companies. Today, we work with 12 Warranty Companies and have over 10,000 loyal customers.